Johnnie Vance “Bish” Johnson, 77, passed away peacefully Saturday, Aug. 26, in his St. George home surrounded by loving family. Johnnie was born June 6, 1940, in Salt Lake City to Mefford Dale and Violet Marvella Johnson. At an early age, Johnnie and his family moved to Vernal. Johnnie spent many of his childhood days hunting and fishing in the trout streams in the Uintah Mountains. He graduated from Uintah High School and joined the United States Army. He married his beautiful bride, Judy, on June 19, 1970, in St. George. Johnnie’s life was filled with many opportunities to touch the hearts of those around him. No matter the job, Johnnie always gave 110 percent. His influence was felt throughout the community and numerous jobs, including but not limited to: gas station attendant, mechanic, jewelry store owner and the job that brought him the most pride: maintenance supervisor at the St. George Airport. After his retirement, Johnnie spent night and day in his wood shop building many pieces of furniture for any who wanted. 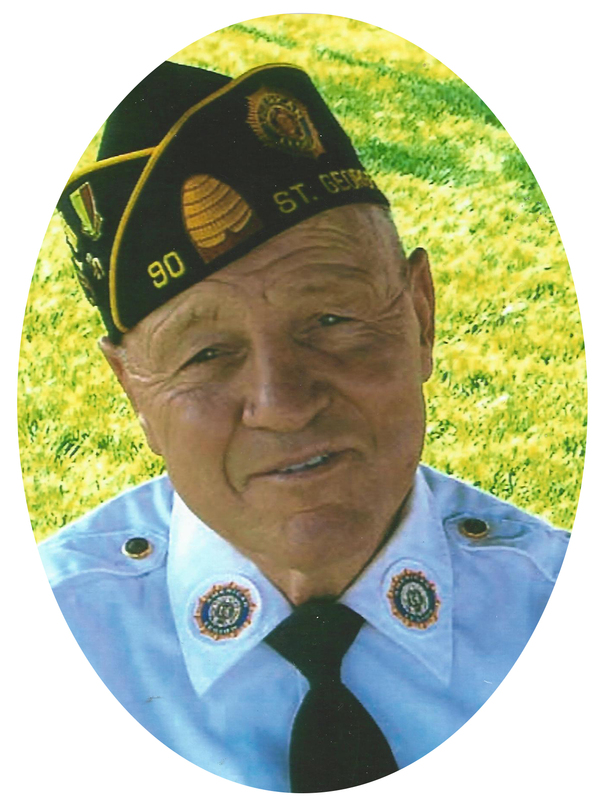 Johnnie loved his country and showed it through his many years of service to the Boy Scouts of America, the Mormon Battalion and the American Legion. Johnnie was preceded in death by his parents, Mefford Dale and Violet Marvella Johnson; his brother, Lynn Dale Johnson; his grandson, John Bryan Hansen; and great-granddaughters: Makayla Abreielle Golding and Arianna Belle Gil. Johnnie is survived by his beautiful bride, Judy Johnson, of St. George; his children: Brenda (Russel) Fuller of Goshen, Utah, Bonnie (Joe) Hansen of Raymond, Alberta, Canada, Jeri (Kelly) Young of Roosevelt, Utah, Barbara (Tom) Bunker of St. George, Utah, Bruce Anderson of Vernal, Utah, Stanley (Crystal) Price of Layton, Utah, Jana (Daff) Clyde of Tabiona, Utah, and Shauna Jo (Tom) Larkin of Washington, Utah; 41 grandchildren; 48 great-grandchildren; 4 great-great grandchildren; and many beloved friends. The family wishes to express a special thanks to their LDS Ward Family, Vanessa, Ashley, Cody and Troy from hospice for remarkable care and friendship. Funeral services will be held Saturday, Sept. 2, at 10 a.m. at the St. George 1st Ward Chapel of The Church of Jesus Christ of Latter-day Saints, 591 W. 500 North. A visitation will be held Friday, Sept. 1, at the Metcalf Mortuary, 288 W. St. George Blvd., St. George, from 6-8 p.m. and Saturday prior to services from 9-9:30 a.m. at the church. Interment will be in the Tonaquint Cemetery.